Just makes you want to reach for a glass of milk, doesn’t it? 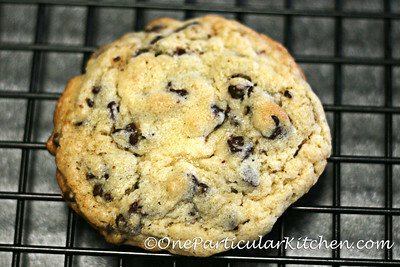 These are classic, easy, ridiculously nom-worthy chocolate chip cookies from my very favorite cookbook. Get the oven heating! 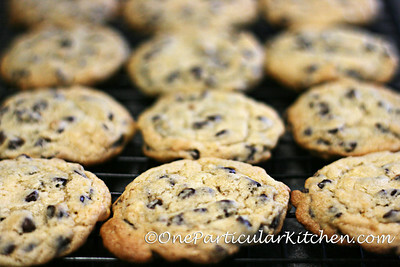 Makes about 3 dozen 2″ cookies. And they don’t last long. This and your recent recipes all look wonderful! I’ve been on a slight commenting hiatus with my busy schedule lately… but it’s great to catch up and see what’s cooking in your kitchen! Wow! Those look soooo good. 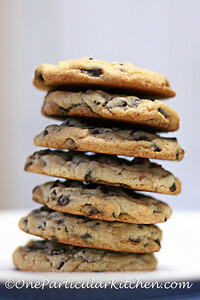 Awesome photos — love the cookie stack!